Now that you've beaten the main story, it's time to start your post-game adventures. When you start the game again, you'll be back in your room. Interact with the purple sparkle here to get a Zygarde Core and a message form Sina explaining what it is. Exit your room and a cutscene will start some dialogue with Hau. He'll give you an Incinium Z and a Primarium Z. 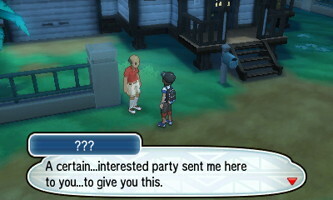 He'll also tell you about the Battle Tree on Poni Island. Exit your house and a mysterious man will give you the Enigmatic Card. On the card is a reqest for you to check out the guest room at the motel on Route 8. Use Charizard to fly to Route 8. Head left and enter the guest room of the motel. 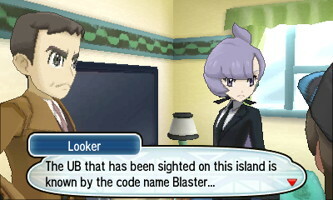 Here you'll meet Anabel and Looker, who claim to be from the International Police. They will invite you to join their Task Force to capture the Ultra Beasts that were released through the worm hole. Anabel will then test you with a battle. She has a Lv. 61 Alakazam, a Lv. 61 Mismagius, a Lv. 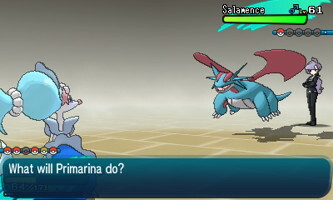 61 Salamence, a Lv. 61 Snorlax, and a Lv. 61 Weavile. After you've beaten her, the two will suggest that you visit Ms. Wicke at Aether Paradise. Heal up at the Pokemon Center and then use Charizard to fly to Aether Paradise. Head north through lab until you get to the elevator. Take it down to B2F Lab Area. Head right to run into Wicke. She'll give you a reason for Lillie and her mother going back to Kanto and even recall a cool moment in generation 1 when Bill combines himself with a Pokemon. She'll give you a 2 Big Malasadas. Head right and enter Secret Lab A and speak to the lady here to get a DNA Splicers, a Prison Bottle, and a Soul Dew. Exit this lab and enter Secret Lab B to the right, speak to Wicke. She'll give you 10 Beast Balls. Exit Aether Paradise the same way you came and fly back to Route 8. Enter the guest room again and your first UB mission will start, UB-01 - Symbiont. Use Charizard to fly to Wela Volcano Park or Diglett's Tunnel. Travel around to make a wild Pokemon show up. A Nihilego should appear. It will be Lv. 55. The Ultra Beast is Rock/Poison type. If you defeat it, exit and re-enter the area and it will respawn. Throw a Beast Ball when it's HP is low enough to catch it. You've now completed this mission. Fly back to Route 8 to report it to Looker. After you report, another UB will be sighted on Melemele island. Fly to Route 2 and enter the guest room of the motel there. 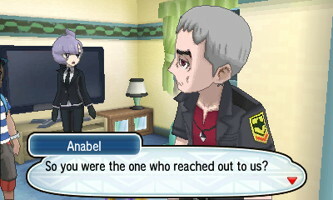 Speak with Anabel here and another cutscene will play where Nanu shows up and suggests that you visit Verdant Cavern (Pokemon Moon) or Melemele Meadows (Pokemon Sun). You'll also get 10 more Beast Balls. Exit the room and head towards Verdant Cavern or Melemele Meadows depending on which game version you are playing. You'll encounter the Ultra Beasts as you traverse through these areas. In Sun version, you'll need to capture 2 Buzzwole. 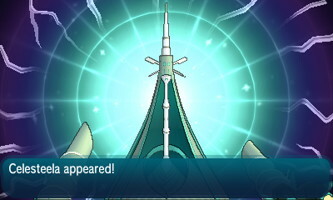 In Moon version, you'll need to capture 4 Pheromosa. Buzzwole will be Lv. 65 and Pheromosa will be Lv. 60. Both are Bug/Fighting type. You'll need to find and capture all the UBs to end the mission. Once you've caught all the Ultra Beasts, fly back to the Motel on Route 2 and enter the guest room. 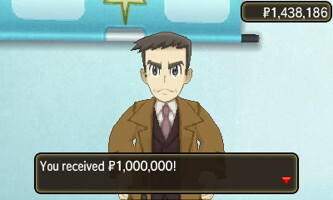 Report your success to Looker and watch the cutscene. 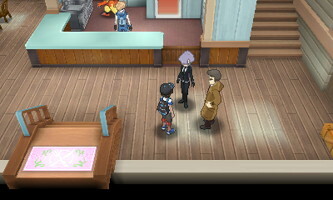 They'll tell you that base has moved back to the motel on Akala on Route 8. Fly there and enter the guest room. When you enter, Mina will be there, the captain of Poni. She'll want to battle you. She has a Lv. 61 Klefki, a Lv. 61 Granbull, a Lv. 61 Shiinotic, a lv. 61 Wigglytuff, and a Lv. 61 Ribombee. Once you've defeated her, Looker will give you 10 more Beast Balls. Heal up, then head for either the Lush Jungle or Memorial Hill. You'll encounter Xurkitree here once you run around enough. It will be Lv. 65 and Electric type. After you've caught your first Ultra Beast, heal up if you need to and then head back to catch your second one. Once you've caught the second one, fly back to the motel on Route 8 and report it to Looker. Watch the cutscene where Mr. Nanu gives the International Police another tip. This time, fly to the motel on Route 13 and enter the guest room. 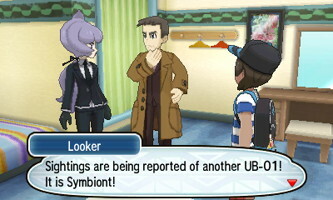 A cutscene will take place where your next UB mission will be briefed. The mission will be named UB04 - Blaster (Pokemon Moon) or UB04 - Blade (Pokemon Sun). Looker will give you another 10 Beast Balls and instruct you to head to Haina Desert (Route 17 in Sun) or Malie Garden to capture your next Ultra Beasts. 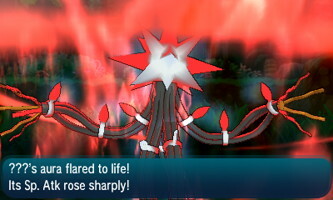 You'll need to capture four Kartana (Pokemon Sun) or two Celesteela (Pokemon Moon). Kartana is Lv. 60 and will be Grass/Steel type and Celesteela are Lv. 65 and will be Steel/Flying type. 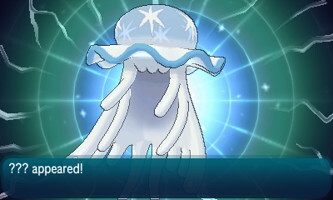 The process to catch the Ultra Beasts will be the same as before. You should be able to get all of them in either of the areas. Once you've caught all the required Ultra Beasts, heal up and then fly back to Route 13 and enter the guest room. Tell Looker that you've finished the mission. After another cutscene, you'll be instructed to head to the floating restuarant in Seafolk Village. Fly there at your leisure. Enter the floating restaurant (it's the large ship on the left side of the docks) and a cutscene will play. Nanu will challenge you to a battle. He has a Lv. 63 Sableye, a Lv. 63 Krookodile, a Lv. 63 Honchkrow, a Lv. 63 Absol, and a Lv. 63 Persian. 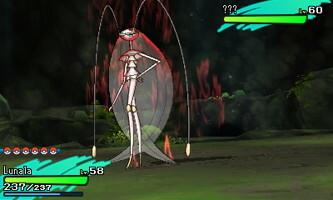 If you're playing Moon version, the Pheromosa you just caught will make quick work of his team. Looker will give you another 10 Best Balls. 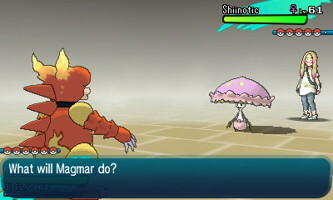 The final UB is in Resolution Cave. Fly to Poni Plains if you've been there before. Otherwise, follow these directions: fly to Poni Breaker Coast, head north to Poni Grove, continue right to Poni Plains and on the right side of Poni Plains is an entrance to Poni Meadow. Follow the spiral path here to Resolution Cave. 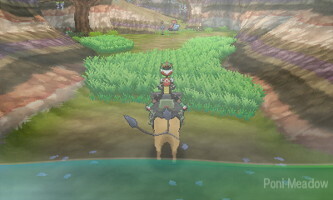 Use Mudsdale to cross the rock here and head south. You'll have to face a trainer here. Continue south until you reach the basement. You'll find the Ultra Beast Guzzlord in the basement. It's Lv. 70 and Dark/Dragon type. Lower it's health and catch it using a Beast Ball, just like the rest of the Ultra Beasts. Fly back to Seafolk Village when you've caught the Guzzlord. Heal up if you need to, then head back inside the restaurant. Tell Looker that you've finished the mission. They suggest that you head to the labs on Aether Paradise. Fly there when you're ready. Head in and take the elevator down to B2F. Head right and enter Secret Lab B. The members of the International Police will thank you for the work you've done and as a thanks will pay you a whopping 1 Million Poké Dollars. 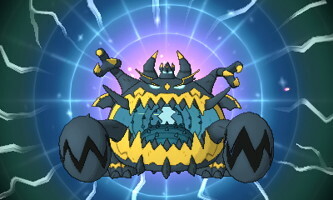 The black creature that was shooting across the sky is actually the legendary Pokemon Necrozma. Check out our Legendary Pokemon guide if you'd like to capture it. With that, your Ultra Beast missions will be complete! This is the end of the plot, but if you're looking for me to do post game, there are a number of things to try out. You can catch more Legendary Pokemon, collect Zygarde Cells, defend your spot as Pokemon champion, or try out the Battle Tree. There's plenty of ways to keep enjoying the game, so check out some of our other pages for additional content. Congrats once again for beating the game, and thanks for using our Pokemon Sun & Moon walkthrough!